This spicy blend of pure essential oils will help your body fight off those nasty viruses floating around. 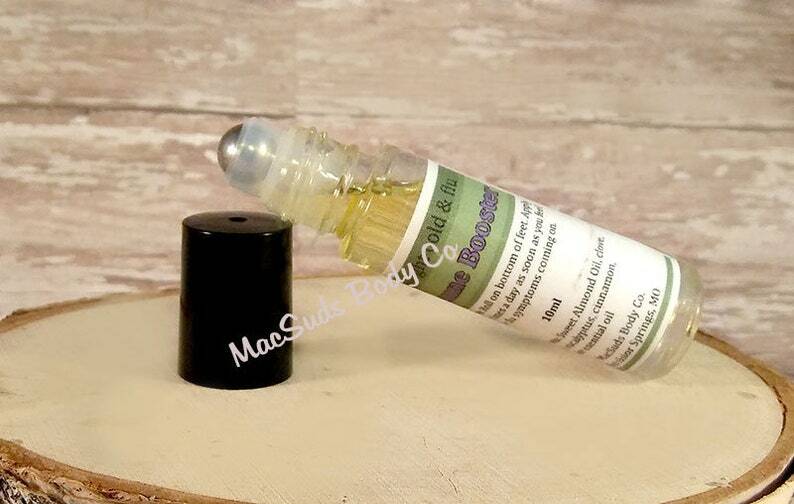 Aromatherapy Roll On Energy Boost: Apply on the bottom of your feet. It's best to use daily but if you are unable to be sure to roll it on as soon as you feel signs of cold or flu. This is a time when you’re exposed to airborne pathogens and toxins at a much higher level. This is mostly for our kids. Kids are walking germ fests. They want to touch everything and then put their hands in their mouth. The challenge in the 21st century is that stress has become a chronic thing that’s experienced on a regular basis. Aroma: Spicy blend includes Rosemary, Clove, Eucalyptus, Cinnamon and Orange pure essential oils.